James VI lived from 19 June 1566 to 27 March 1625 and was King of Scotland from 24 June 1567 until 27 March 1625. From the Death of Queen Elizabeth I of England on 24 March 1603 he was also King James I of England. The wider picture in Scotland at the time is set out in our Historical Timeline. James was the only child of Mary Queen of Scots and her second husband, Lord Darnley. He was christened Charles James. The infant James last saw his mother on 24 April 1567 at Stirling Castle. She was was adbucted by James Hepburn, 4th Earl of Bothwell on her way back to Edinburgh after seeing him, and her rapid spiral of decline began. On 24 June 1567 Mary was forced to abdicate in favour of James VI, who as a result became King just after his first birthday. 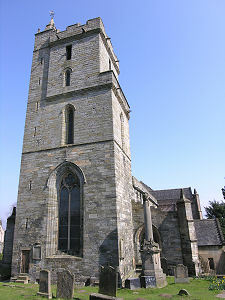 James was crowned King of Scotland at the Church of the Holy Rude in Stirling, on 29 July 1567. Power was exercised on his behalf by a series of Regents appointed by Parliament. The first of these, James Stewart, 1st Earl of Moray, was assassinated in 1570 by a supporter of the right of Mary, now a prisoner in England, to return to the Scottish throne, and the second and third died quickly. The most long-lasting was James Douglas, 4th Earl of Morton, while historian and poet George Buchanan looked after James' education. The 4th Earl of Morton was effective in suppressing all opposition to James' right to be king. But he was unable to defend himself against charged laid by members of James court in 1581 that he had taken part in the murder of James father, Lord Darnley. Morton was executed and James took personal control of power aged 15. 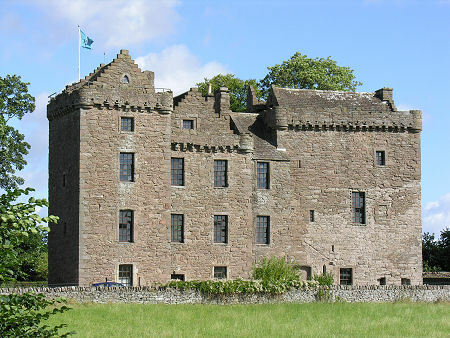 In doing so he chose advisers who were not as strictly Protestant as some nobles would have liked, and In in what became known as the Ruthven Raid protestant nobles including William Ruthven, 1st Earl of Gowrie, kidnapped James and held him for nearly a year at Ruthven Castle, now known as Huntingtower Castle. On his escape in 1583 James VI had Gowrie executed and the very name of Ruthven expunged. He also had the Scottish Parliament make the Church of Scotland directly accountable to the king under what were called the Black Acts. James had been taught to hate his mother by his tutor. This, perhaps coupled with his ambition to stay on the right side of Elizabeth I of England (as her possible heir), meant that he made only a very low key protest when Elizabeth signed the death warrant of Mary Queen of Scots in 1587. In 1589 James married the protestant Princess Anne of Denmark. On his return with his now wife he took close interest in the trial for witchcraft in North Berwick of a group said to have summoned a storm to try to sink Anne's ship on her first attempt to come to Scotland, and again when he had travelled back with her. James was instrumental in launching a major witch-hunt across Scotland in which, over the century that followed, some 1500 witches would be "discovered" and executed. James beat off a Catholic revolt in 1588, and in 1600 he was faced with a conspiracy mounted by John Ruthven, 3rd Earl of Gowrie, the second son of the Earl of Gowrie, executed in 1583. This Gowrie, too, was executed. By some measures James had been an immensely successful King of Scotland, bringing peace, relative stability, and prosperity. Yet his approach to the periphery of his kingdom, the Highlands and Islands, showed, if possible, even more ignorance than his predecessors. An Act of Parliament in 1597 was typical of James' approach to "civilising" the Gaelic areas of Scotland. This leased the Island of Lewis to lowland nobles called the Fife Adventurers and authorised them to use all means necessary, including what would today be called genocide, to "root out the barbarous inhabitants". Elizabeth I of England died childless in 1603. In his will, which had the force of law in England, Henry VIII had sought to exclude Mary Queen of Scots and her son James from succession to the crown of England. But there were no other serious candidates and an Accession Council met and proclaimed James King of England. James and Anne were crowned on 25 July 1603 at Westminster Abbey, James seated on the Stone of Destiny taken from Scotland by Edward I of England in 1296. Scotland and England would remain separate sovereign states sharing the same monarch until 1707 when the Acts of Union dissolved the Scottish Parliament and merged the two nations to create the single Kingdom of Great Britain. And there the story of Scottish Monarchs comes to something of an end. When James VI of Scotland left to become James I of England, he promised to return every three years. In fact he returned just once in the 22 years until his death, in 1617. The Stewarts and their successors had at last found a real kingdom to govern. Few future monarchs would be over-concerned with the affairs of Scotland. On 20 October 1604, James proclaimed himself King of Great Britain, the first monarch to do so. In 1605 James was the subject of an assassination attempt (which became known as the gunpower plot) by Catholics. Despite this, James steered a course of relative religious tolerance in England. From 1605, James began to run into considerable difficulties in his dealings with the English Parliament, and in particular persuading it to vote him enough money. He responded by following a course that was to lead his son Charles I into great difficulties, by raising funds by non-Parliamentary means. These included his arguably illegal raising of customs duties, and his sale of 62 peerages at prices up to £20,000 for an Earldom. Later in his reign, James VI/I became involved, via his son-in-law, Frederick V, Elector Palatine, in the 30 Years' War. This led to further conflict with Parliament, which in turn led to his dissolution of it: setting another trend that was to contribute to Charles I's problems. James died in London in 1625 of kidney failure and stroke and was succeeded by Charles I.